This summer has certainly given me great clarity about my future steps toward becoming a medical practitioner. Without the Social Science Scholars program, I am sure I would be nowhere near as close to reaching the lofty goals I have set for myself. This program and College have been invaluable. They provided financial and educational support unparalleled by any other organization I have encountered at FSU. The first question I typically get after introducing my majors is “why Biology and International Affairs?” After making some joke about my existential crisis, I tie them together with my career aspirations: to practice international medicine. My interest in the interplay between these two disciplines is exemplified by the summer projects that I chose to pursue through the College of Social Sciences and Public Policy’s Social Science Scholars Program. I am currently applying for a Fulbright Fellowship, which will hopefully take me to Peru to teach English for a year before I begin my health education. After my time in Peru, I will apply to the Knight-Hennessey Program and pursue a Masters in Public Health. This degree will give me the foundation I need in understanding the American healthcare system, leading to my expertise as a practitioner. While in the Masters of Public Health program, I will apply to Physician Assistant school, after which I will apply to Doctors Without Borders (DWB). Long term, I aim to practice emergency medicine in Latin America with DWB or another health aid organization. The initial portion of my summer comprised taking classes and conducting research on influenza and its transmission in aircraft cabins. I began this research project learning the intricacies of the open-source, statistical software program known as R. It was a tough task as programming is not among my more natural leanings. After a few months of developing my skills with data mining and management, I became well versed with the brackets, code, and algorithms of R and was ready to begin our research. Right now, we are programming an algorithm that will be able to cross-examine the differences among influenza infectivity, humidity, and temperature as they relate to internal ventilation systems. The research is slow, but stimulating. I hope that it will help me get to the 3rd World Congress on Public Health and Nutrition– a conference that combines global health statistics with epidemiology and problem solving as it pertains to solving our healthcare shortcomings. Thanks to the support from the College of Social Sciences and Public Policy, I intend to present the research we have worked on thus far and showcase all that we have been able to achieve. Another part of my summer was spent working in various healthcare environments. 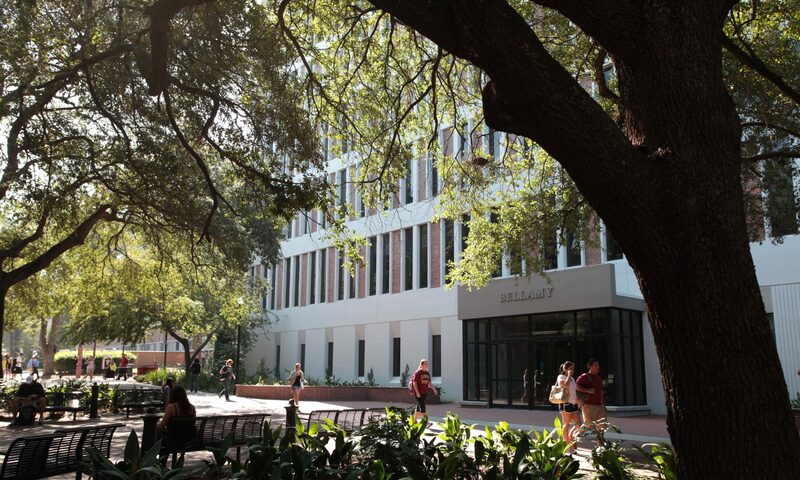 For example, I interned at the Tallahassee Memorial Hospital with the Project Management Office (PMO), where I learned the ins and outs of hospital administration, politics, and practice. In my time at the PMO, I led a project to increase operating-room holding efficiency by mapping the workflows of the entire staff that provided care to patients. While conducting this research, I was able to speak with numerous staff members and learn more about different positions in the profession. I approached the PMO Director regarding this work and she introduced me to the digital media team. Together, we put together a website that outlines different careers in the healthcare field. This website is a platform where students, who are interested in embarking on a future in health care, can learn more about the different positions. About the author: Sophie Rottenger is part of the Social Science Scholars class of 2018, double majoring in Biological Science and International Affairs.